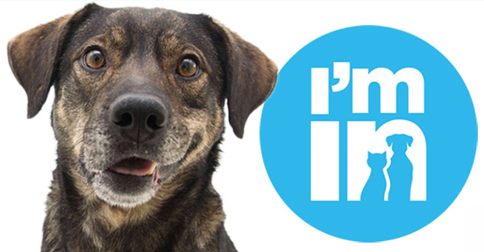 Lifeline Animal Project Celebrates National Dog Day with Free Dog Adoptions! ATLANTA, GA – (August 25, 2015) – LifeLine Animal Project, the nonprofit which recently pledged to have its county shelters reach no-kill levels by the end of 2016, invites everyone to celebrate National Dog Day with free adoptions! Adopt a dog on August 26 at any of LifeLine’s shelters, including DeKalb County Animal Services, Fulton County Animal Services or LifeLine’s Dog House, and the adoption fee will be waived! Standard screening criteria still applies to ensure the dogs go to good homes. Adopters will receive a dog or cat that has been spayed or neutered, has had all vaccines and is microchipped – a $250 value — for no cost! To see pictures of available animals at DCAS, FCAS or LifeLine’s nonprofit shelters, please visit www.dekalbanimalservices.com, www.fultonanimalservices.com orwww.lifelineanimal.org. Founded in 2002, LifeLine Animal Project is Atlanta’s leading nonprofit organization providing lifesaving solutions to end the killing of healthy and treatable animals in county shelters, promote animal welfare and prevent pet overpopulation. As the managing organization for DeKalb County Animal Services and Fulton County Animal Services, LifeLine has dramatically increased adoption rates and decreased euthanasia rates by more than half at both county facilities. The organization also operates two low-cost spay/neuter clinics, which have performed 85,000 surgeries to date, its own no-kill cat shelter and a rehabilitative, no-kill shelter for dogs and cats. Other outreach efforts include its Catlanta trap-neuter-return program, the first and largest in metro Atlanta, for stray and feral cats. For more information, please visit www.lifelineanimal.org.